Papua New Guinea. 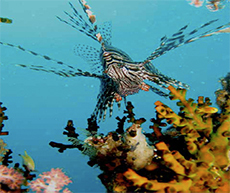 Since forever, the dive industry have extolled the virtues of this underwater paradise. Port Moresby. National capital and gateway to PNG, consistently ranked as one of the worst cities in the world. So the question is: Would Moresby ever make it to the top of your to-dive list? Would you fancy world class diving from the armpit of the Pacific? To read the rest of this article, you'll need to get your hands on Tanked Up Magazine. It's free. What are you waiting for?